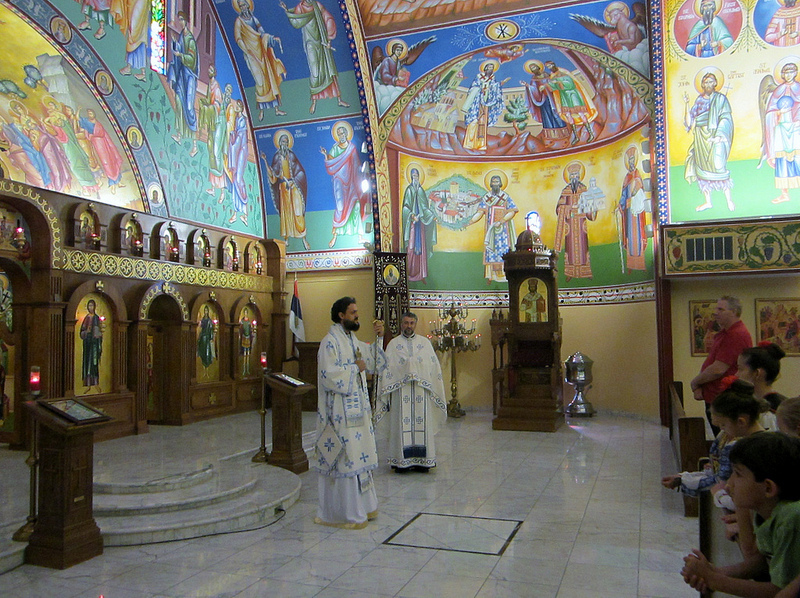 Phoenix, AZ - His Grace Bishop Maxim of Western America officiated at the Divine Liturgy at St. Sava Serbian Orthodox Church in Phoenix, Arizona on Sunday, September 16, 2012. A welcome banquet was prepared in honor of the newly appointed priest of the Phoenix parish, V. Rev. Dragomir Tuba.